The Department of Monitoring and Evaluation briefed the Portfolio Committee on its assessment of the strategic plan and Annual Performance Plans of the Department of Agriculture, Forestry and Fisheries for the 2018/19 financial year. The Department said the programmes of the Department of Agriculture, Forestry and Fisheries are not having a significant impact on key indicators. Though the Department has embarked on some strategies aimed at stimulating production by smallholders, challenges were around developing new entrants in the sector to become successful commercial farmers and that some support packages from the government tend to cause dependency. The slow growth of the industry in terms of Gross Domestic Product contribution and employment is another contributing factor. The alignment of activities and objectives of the government programmes from the sector departments need to be synchronised for efficient resource allocation and high impact deliverables. The expedition of the Preservation and Development of the Agricultural Land Framework Bill is moving at a very slow pace and is not included in the Annual Performance Plan for the 2018/19 period. The development of the Bill is two years behind schedule. It is pencilled to be presented to the Minister during the 2019/20 period. It needs to be expedited to enable the protection of high value agricultural land from other uses and to ensure other Acts are implemented to support land redistribution and restitution and equitable access to land. Uncertainty regarding the transfer of Recapitalisation and Development Programme is impacting negatively on the hectares of land cultivated by the previously disadvantaged individuals and threatens food security. The Department indicated that the number of hectares cultivated or planted for food is very low so far when that is compared to the Medium Term Strategic Framework target of 1 million hectares and quarterly hectares to be planted. It appears the land is cultivated once a year. This needs to be rectified in the new Medium Term Strategic Framework and rephrased in order to suit the contribution of the Department of Agriculture, Forestry and Fisheries of cultivating 1 million hectares of under-utilised land in communal areas for production. It recommended that annual performance indicators and targets be rephrased to correlate with the Medium Term Strategic Framework indicators and targets. The Office of the Auditor-General of South Africa briefed the Committee on audit insights on the interim review of the 2018/19 annual performance plans of the Department of Agriculture, Forestry and Fisheries in an effort to add value to oversight. The Office of the Auditor General could not identify any significant findings on programmes of the Department that deal with agricultural production, health and food safety; food security and agrarian reform; and forestry and natural resource management. The only finding identified was on the programme that deals with trade promotion and market access. The targets on strategic engagement with partners within Africa and multilateral agencies, including compliance to the African Union and SA Development Community obligations were found to be immeasurable and unspecific because they did not indicate the countries in which the Department plans to engage with and the number of engagements targeted. However, the Auditor General noted that Department has corrected the draft annual performance plan on all the findings raised. Members wanted to know if the Office of the Auditor General has looked at the alignment of the Annual Performance Plans with the strategic plans and Medium Term Strategic Framework; remarked that nothing in the Annual Performance Plans is mentioned about harbours, and wanted to know if the targets talk to the plans because there are burning issues around confiscated abalone; asked if the Department has taken into consideration the alignment of Programme 4 (Trade Promotion and Market Access) with the National Marketing Council and the work of the international missions of the Department because the Department has attached officials to all the missions. To the Department of Monitoring and Evaluation, Members commented the that the Department has to think deeply about the need for reconfiguring affected departments because in the past the Committee has encountered serious situations where there have been conflicting matters; asked if the Department has engaged with the Department of Agriculture, Forestry and Fisheries on the first draft of the Annual Performance Plans; wanted to establish if all the issues raised previously and now have been addressed in the new plan by the Department; suggested that all the concerns the Committee raised throughout the year should be part of the Annual Performance Plans; and commented the best way of managing Operation Phakisa is to migrate ‘Rural Development’ to the Department of Agriculture, Forestry and Fisheries and let ‘Land Reform’ go to the Department of Small Business Development. 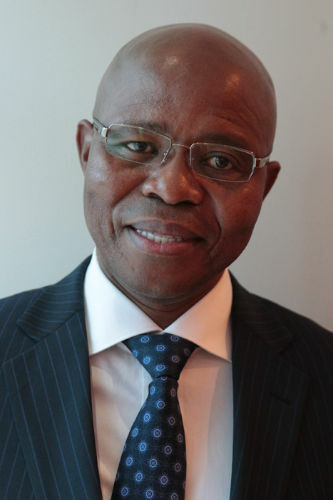 Mr Desmond Phungula, Acting Senior Manager, AGSA, took the Committee through the audit insights on the interim review of 2018/19 draft Annual Performance Plans (APPs) of DAFF in an effort to add value to oversight. The review was performed on the final draft of the 2018/19 APPs and all findings were communicated to the DAFF to ensure the APPs submitted to the Committee are according to the relevant frameworks. The AG reviewed the process and assessment focused on the measurability and relevance of the indicators and targets planned for each selected programme. A good performance indicator should be well-defined, verifiable, and relevant. The indicators and targets were assessed against the “SMART” criteria for programmes. No significant findings were identified for Programme 2 (Agricultural Production, Health and Food Safety), Programme 3 (Food Security and Agrarian Reform), and Programme 5 (Forestry and Natural Resource Management). The management of DAFF corrected identified findings on Programme 4 (Trade Promotion and market Access). The targets were not measurable and specific. The AG noted that the management of DAFF corrected the draft APPs on all the findings raised. Through the review of the 2018/19 draft Annual Performance Plan and assessment of the targets to determine whether the targets meet the SMART principles, the AG noted the targets on Programme 4 were not measurable and specific. Reasons forwarded for non-measurability and non-specificity for the targets is that they do not indicate the countries in which the Department plans to engage with as well as the number of engagements that the Department is targeting for the year under review. These targets are focusing on strategic engagements of partners within Africa and African agencies; South-South, North South and multilateral agencies; and reporting on compliance to AU and SADC obligations. Mr Zakhele Mdlalose, Chief-Sector Expert for Environment: DPME, spoke about the DPME’s assessment of DAFF’s Strategic Plan and the Annual Performance Plan of 2018/19. The MTSF has key performance targets and indicators from the National Development Plan (NDP) to be achieved by Government over the 5-yearr period. Therefore, DAFF’s strategic plan should be grounded in the MTSF 2014-2019. Chapter 6 of the NDP highlights the potential of agriculture. DAFF’s strategic planning process was informed by the MTSF 2014-2019 for Outcomes 4, 7, 10 and 12. The Outcomes deal with decent employment; comprehensive rural development; protecting and enhancing environmental assets and natural resources; and providing an efficient, effective and development oriented public service, respectively. Mr Mdlalose pointed out that Programme 1 (Administration) needs to be linked to Outcome 12 and sub-outcomes 1-7. Currently the programme is not fully aligned with the sub-outcomes, which, amongst other things, deal with a stable political-administrative interface; a public service that is a career of choice; efficient and effective management and operations systems; procurement systems that deliver value for money; and increased responsiveness of public servants and accountability to citizens. Activities and indicators for implementation of policies should have been included in the sub-programmes. Improved inter-departmental coordination and institutionalisation of long term planning are critical for DAFF in order to optimise water provision to small farms. 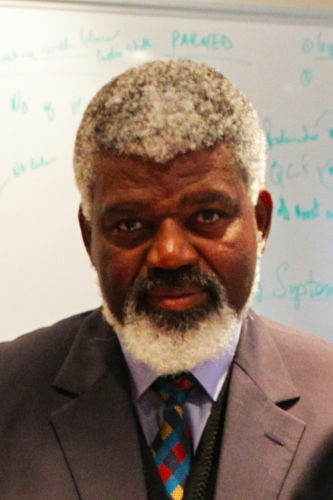 Operation Phakisa in agriculture and land reform has been elevated for collaboration among stakeholders in terms of value chain development and market access; skills development and capacity; coordination of knowledge management; funding and finance; and reconfiguring space and promoting functional rural settlement. Despite several calls on the expedition of the Preservation and Development of Agricultural Land Framework Bill, it is not on the annual plan for 2018/19. It is planned for the 2019/20 in order to be submitted to the Minister. This needs to be expedited for the development of this Bill because it is nearly 2 years behind schedule. It is important not only to enable protection of high value land from other uses, but also to ensure that other Acts can be implemented to support land redistribution and restitution and equitable access to land. The amendments to the Preservation and Development of Agricultural Land Framework (PDALFA) have not yet been submitted to Cabinet. Some strategic objective’s five-year targets are not measurable and SMART. The number of hectares cultivated /planted for food is low when compared with the MTSF target of 1 million ha and quarterly hectares to be planted. It appears the land is only cultivated once a year. The cumulative total which needs to be cultivated must not add up to 1 million ha over the 5 years, but in total after the 5 years a total of 1 million ha are cultivated seasonally. This needs to be rectified in the new MTSF and rephrased to accommodate the contribution of DAFF to the “1 million ha of under-utilised land in communal areas cultivated for production”. Some annual targets remain constant in each year of the medium-term period. The target for certification programmes implemented annually needs to be rephrased in a SMART way to be able to count for the number of farmers compliant with SA-GAP in order to budget accordingly. DAFF should provide targets which indicate the progressive realisation of the implementation of the SA-GAP certification programme. DAFF should identify actual outputs which inform reports or recommendations in the report which is a reflection of the core performance of the programme. This recommendation is applicable to all the other programmes of the department e.g. AGRIBEE Sector Code undertakings, Forest Sector Code, market opportunities, trade agreements, etc. The five-year targets for Agro-Forestry Strategy Framework and Climate Change Adaptation and Mitigations Agriculture, Forestry and Fisheries are not SMART. Implementation is not quantified and measurable. Further, the indicator for Agro-forestry Strategy over the medium-term targets remain constant over the MTSF period. Clarity is needed for recommissioning forest plantations where the legal entities are established in a financial year and then the replanting in the following year. This does not talk to the performance indicator. The strategic objective’s five-year target and strategic objective indicator are not aligned. Mr Mdlalose recommended that greater effort is needed to improve performance towards the MTSF 2019 targets so as to ensure reasonable achievement on land reform for agrarian transformation; food and nutrition security, and rural enterprises development. The 3-feet plans of Operation Phakisa on Agriculture, Land Reform and Rural Development should be implemented, and more urgency is required in the establishment of the implementation structure, governance, accountability matrix, and finance mechanism for Operation Phakisa. APP indicators and targets should be rephrased to correlate with MTSF indicators and targets. In his conclusion, he stated the uncertainty regarding the transfer of the Recapitalisation and Development Programme (RECAP) is impacting negatively on the hectares of land cultivated by the previously disadvantaged individuals and threatens food security. The slow pace to expedite the Preservation and Development of Agricultural Land Framework Bill would impact negatively on the implementation of and support to the land redistribution and restitution and equitable access to land. The DAFF APP output targets should make provisions for outcomes and impact deliverables in line with NDP targets to unemployment, poverty and inequality reduction, using the collaborative effort from the sector wide initiatives. Mr P Maloyi (ANC) asked AGSA if the Department has corrected the issues AGSA raised which have to do with Programme 4 (Trade Promotion and Market Access) seeing that AGSA stated the targets were not measurable and specific and provided reasons for that; and he wanted to know if AGSA has looked at the alignment of the APPs with the strategic plans and MTEF. Ms Kgabo Komape, Business Executive: AGSA, replied that AGSA addressed the findings and discussed the issues with the management of DAFF. The Department gave AGSA the amended APPs. The alignment talks to the scope of the review. AGSA engaged with the Department on matters of ambiguity. AGSA looked at the measurability and relevance. She noted the management of DAFF has corrected the draft APP on all the findings raised. Mr P van Dalen (DA) remarked that nothing is mentioned in the APPs about harbours, and he wanted to know if the targets talk to the plans because there are burning issues around confiscated abalone. Mr Phungula stated the review process was not done for Marine Living Resources Fund (MLRF) The MLRF is a separate entity. There is a programme within DAFF that looks at the MLRF. The Chairperson wanted to find out if the Department has taken into consideration the alignment of Programme 4 with the National Marketing Council and the work of the international missions of the Department because the DAFF has attached officials to all the missions. She further commented that Programme 3 (Food Security and Agrarian Reform) is not the sole responsibility of DAFF. Its outcome and impact are supposed to be visible, but they are not. There are contributing departments like the Department of Rural Development and Land Reform (DRDLR) including provinces that are implementing. She also wanted to know if measurability in Programme 3 assists in achieving the APPs. Ms Komape said the assumption would be that the Department has engaged with other departments like DRDLR and other relevant stakeholders to align what needs to be done. Mr Maloyi asked if the DPME has engaged with the Department on the first draft of the APPs. If not, that needs to be corrected so that the Committee could engage with both departments on the final draft. His question was based on a number of issues AGSA raised last year which DAFF did not include in the APPs. The circle of the APPs was developed by AGSA. It was good to learn the issues AGSA raised were attended to by DAFF. The Committee should be engaged when the DPME is working on the first draft of the APPs of the Department. Mr Mdlalose stated he does not know how far the engagement has gone with DAFF. He advised the Committee to engage with Dr Ngomane who has been engaging with DAFF for a while. Unfortunately, she could not attend the meeting because she was sick. The Chairperson stated that government operates in a system. Even if the person is sick, that does not mean no one knows about the engagements with the Department. Mr R Ramasodi, Acting Director-General: DAFF, explained that three drafts are sent to DPME. The third draft is usually sent in March. The comments of the second draft from the DPME were received and corrected. No response has yet been received from the DPME regarding the second draft. The Chairperson advised that the DPME and DAFF should ensure that all matters raised are included in the APPs. Mr N Capa (ANC) commented the DPME has to think deeply about the need for reconfiguring affected departments. In the past, the Committee has encountered serious situations where there have been conflicting matters. If there are no concrete recommendations, people are going to continue to go around in circles. Mr Van Dalen wanted to establish if all the issues raised previously and now have been addressed in the new plan by the Department. Mr Mdlalose said previous issues identified have been addressed and this includes matters that the DPME raised. DAFF is one Department that is building on issues it has addressed. Not all issues were addressed, but some, if not most, have been attended to. Mr H Kruger (DA) suggested all the concerns the Committee raised throughout the year should be part of the APPs. This approach should be borrowed from the Portfolio Committee on Small Business Development. He also commented that the best way of managing Operation Phakisa is to migrate ‘Rural Development’ to DAFF and let ‘Land Reform’ go to the Department of Small Business Development. The Chairperson stated Programme 3 (Food Security and Agrarian Reform) is dependent on the DRDLR and provincial departments of agriculture to achieve its outcome because these two are contributors. The DPME has to see to it that these two departments collaborate to meet the outcomes of the programme. Questions being raised are important for the Department to meet the MTEF targets. In their last discussion they thought the introduction of Operation Phakisa would address the challenges facing the sector. Unfortunately, the problems are still there. She suggested the DPME and DAFF should go back and chew over the issues raised and then come up with a concrete plan. It is not a good idea for the Committee to pass budgets when it knows very well the Department is not going to meet its targets. She further indicated that during SONA 2017 it was stated that 30% of government procurement should be given to small businesses and smallholder producers. The AgriParks have been given R3 billion to help smallholder producers in what they are doing and market access. The DPME and DAFF should iron out these matters to ensure the MTEF targets are met. Planning should be strengthened in order to be clear on what DAFF and provinces should do and this would help the Committee to do its oversight better and be able to engage with National Treasury on allocations for work to be done. Mr Maloyi requested the DPME to check if the issues it raised are encapsulated in the APPs. Not everything could be included in the APPs because of budget constraints, but it is important to check issues that could not be encapsulated in the APPs due to budget constraints and be presented to the Committee. He also proposed there should be further engagements with the Department on listeriosis because a professor in Stellenbosch claims the source of the disease is from the Brazil chicken imports which are not tested in the country’s ports of entry. The Chairperson agreed to the idea of engaging DAFF on listeriosis but indicated the matter would be better discussed in the next term and an on would be extended to the professor who holds such views. Mr Sifiso Buthelezi, Deputy Minister, concluded that issues raised by the Committee are and would improve DAFF interventions which should have a socio-economic impact on the lives of ordinary people. He noted that engagement with other relevant departments is very important in order to speed service delivery and progress agriculture infrastructure. Matters raised on APPs would be fine-tuned by DAFF. Mr Van Dalen remarked that the progress report on the Vrede Dairy project has not yet been received but the minutes are indicating it has been submitted to the Committee. 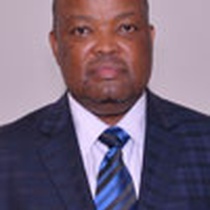 The Chairperson reminded the Committee the Acting DG told the Committee that DAFF withdrew its support from the project though it initially funded the first phase to the tune of R13m after there were unsavoury issues that surfaced. The provincial department then continued to fund the project without the knowledge of DAFF. Then the concern from the Committee was how National Treasury could continue to fund the project when DAFF withdrew from it. She asked the Committee to look at the resolutions it took on the matter from the previous minutes.